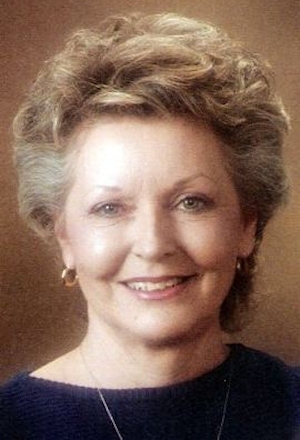 Obituary – Bowers, Ella May (Sweger) « Perry High School Alumni Association, Inc.
Graveside services for Ella May Bowers of Amarillo, TX formerly of Perry, OK are scheduled for 10:00 am Tuesday, March 31, 2009 at the Grace Hill Cemetery Pavilion with Martin Foster officiating. Mrs. Bowers was born on October 19, 1927 to Carl Franklin and Margaret Lenore (Lau) Sweger in Enid, Oklahoma. She grew up and attended school in Perry, OK later marrying Gene Bowers on August 17, 1946 at the First United Methodist Church in Perry. Ella May was a very devoted wife and mother. Ella May enjoyed traveling with her husband, reading books, and talking politics. Her greatest joy was in putting her family first. She was an exceptional cook who always made holidays memorable and special for her loved ones. Her family was blessed by her generous heart and her quirky sense of humor. Ella May passed from this life to be with her Lord and Savior on Thursday March 26, 2009 at her home in Amarillo, TX. Survivors include three sons, Bradley Gene Bowers and wife Nancy of Castle Rock, Colo., Gregory Lee Bowers and wife Debbie of Greensboro, N.C., and Jeffrey Len Bowers of Garland; a daughter, Kimberly Jo Thompson and husband Trent of Amarillo; nine grandchildren; and three great-grandchildren. She was preceded in death by; her parents; Carl and Margaret Sweger, husband; Gene Bowers, brother; Warren “Franklin” Sweger, and half sister; Mable Elenore May.